Florida Title Loans is the number one source for title loans in Hialeah, FL! Title Loans in Florida are great for people in need of immediate cash. With little to no effort at all, you can receive hundreds or even thousands of dollars. Our process is very simple. Fill out the application on this page and you will receive an instant quote based on the value of your vehicle. 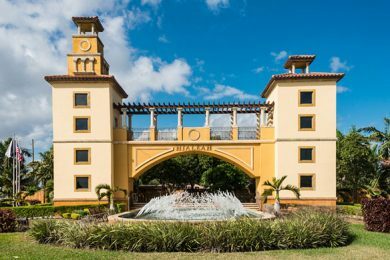 From there, one of our Hialeah Title Loans specialists will contact you to go over all of the details. Once you have decided on a repayment schedule, you will be directed to the nearest location for title loans Miami or Hialeah FL. It’s that simple! If you are a car owner, then you know a repair can occur at any time. It is unexpected emergencies like car repairs that put families in financial distress. Some families are only making enough to pay their bills and do not have any savings. However, title loans Hialeah companies provide families with a solution. A title loan or pawn is a short-term loan where a borrow uses a vehicle’s title as collateral. The money usually must be paid back in 30 days or less. The borrower also must own the vehicle. This type of loan does not check the borrower’s credit rating. It can also be approved very quickly. The paperwork is minimal, which is different from other loans. You are not required to show proof of insurance, bank statements, recent pay stubs, recent tax returns, utility bills or business licenses. The only requirements are your vehicle, a photo ID and a free and clear title. Since a credit check is not done when submitting an application. The lender does not report anything to credit agencies. This means your business with a title loans Hialeah company will remain private. One of the key benefits is you can get a loan for any amount depending on the value of your vehicle. After you submit your application, you are given a car title loan estimate. A representative of the company will call you at a later time. He or she will help you decide on a loan amount and decide on the next steps. The Florida Title Loan Act was passed in 2000 to regulate the interest that a lender can charge. The purpose of the Act is to protect borrowers in financial straits. The Act requires the written contract to contain certain information. It also put limits on interest rates and provide other protections. Florida law allows a lender to charge up to 30 percent per year on the first $2,000 borrowed. If you borrow any additional amounts between $2,000 and $3,000, then you have to pay a 24 percent interest rate. Amounts over $3,000 will have an 18 percent interest rate. The loan agreement must specify the amount of the loan and the interest rate. An emergency always seems to occur when you are low on cash. It can be embarrassing always having to ask for help from friends and family members. An advantage of getting a title loan is that you do not have to explain the reason for the money. Anybody with a working vehicle can get a loan. Title loans in Florida have an easy approval process. One of the main benefits is that you can get your money quickly. The application is usually processed within one or two days. You also get to leave with your vehicle. The lender keeps the title, but you can still take your vehicle home. This means you will still have transportation to get to work.